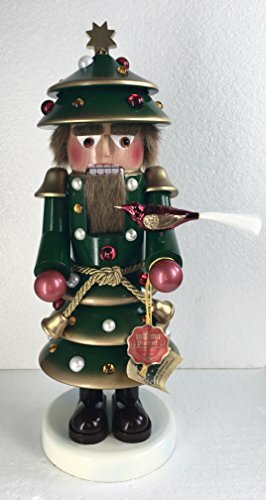 This wonderful, whimsical Christmas Tree Nutcracker, S,1660, is from the original Steinbach factory. It is highly collectable, plentifully decorated, and comes with a glass bird. If you have any questions about this product by Steinbach, contact us by completing and submitting the form below. If you are looking for a specif part number, please include it with your message.